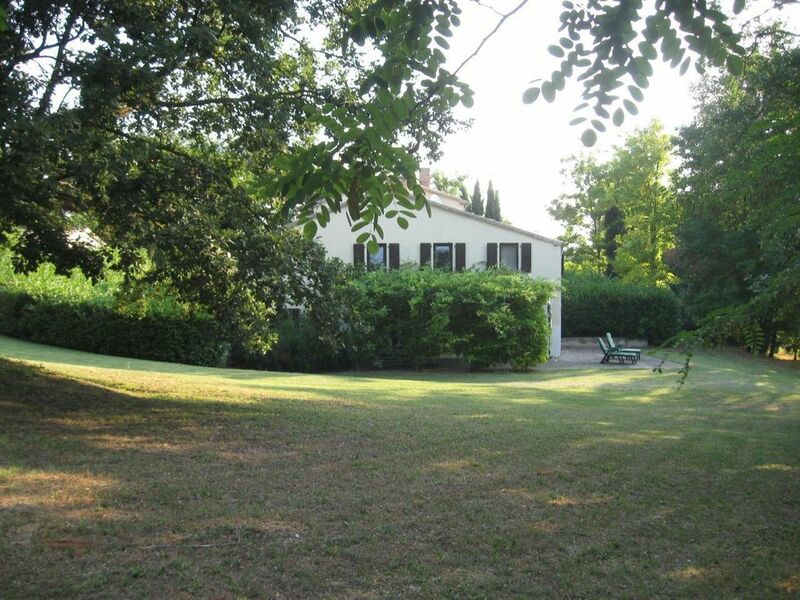 The holiday home for up to 10 people is located in the Marche in central Italy. The brands have spared from mass tourism in contrast to Tuscany. Because of the originality of this region, it is also called the "true Italy" by the Italians. It is about 30 km to the Adriatic Sea. On 200 sqm are 3 bedrooms, 1 bathroom, 1 guest toilet, 1 kitchen, 1 laundry and 1 living room. The house is set on a 5,000 m² fenced plot and is ideal for children and pets. Parking is available on the property. The quiet location ensures a relaxing and relaxing stay. A cozy restaurant is located in Castello Loretello, about 1 km away. There are shops in San Lorenzo in Campo, 6 km away, or Corinaldo, 14 km away. Not only nature lovers and worshipers of the sun and the sea feel at home in the Marche. Culturally and art historically interested come here as well at their expense. For example, apart from 180 km of coastline, the brands offer more than 100 art cities, innumerable churches and a multitude of archaeological sites and historical theaters. Most museums and art galleries in Italy are located in the Marches. - Final cleaning: once per object costs in the amount of 60 EUR (compulsory). - Pet: included per object per day in the price. - Fireplace Fireplace: included in the price per object per day.